Renowned cellist Yo-Yo Ma is performing in Berkeley on Sunday. 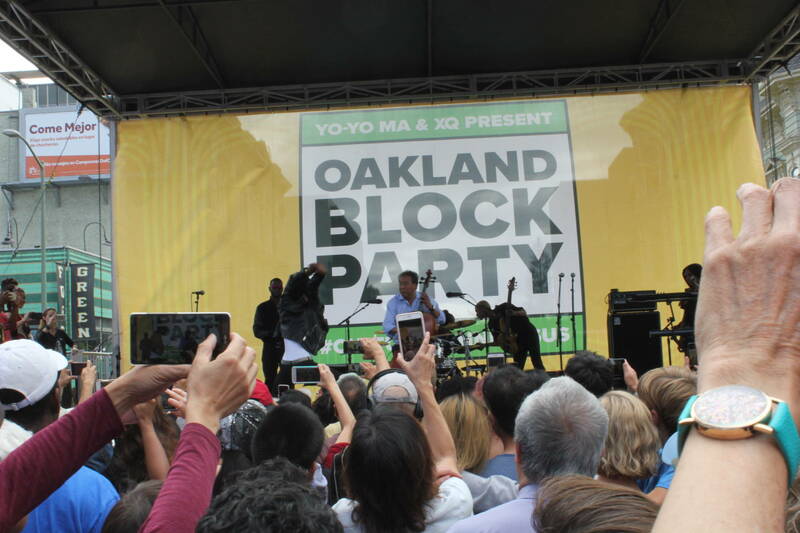 But before taking the stage at the Greek Theater, he took to the streets, playing at an Oakland block party on Saturday. The artist is performing Johann Sebastian Bach’s six suites for solo cello in one sitting, in 36 locations around the world. The day before each concert, he's collaborating with a local group to put on community pre-shows, like Saturday's show in downtown Oakland, where he jammed with a group of high school-aged siblings, known as JAX. 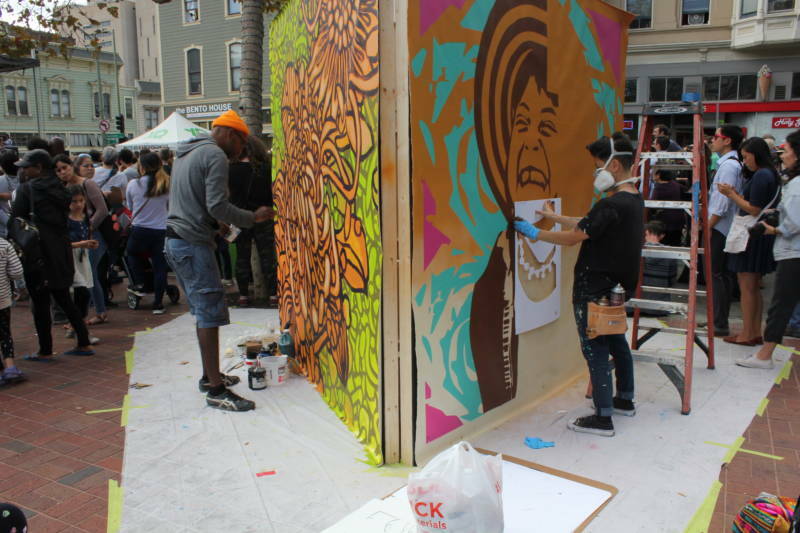 Ma said the community shows are all about reinforcing connections, imagination and humanity. "We do live in a more and more fractured world," Ma said. "I want to make sure that all the things we invented in culture — including sciences, music, languages — is there to serve us." Ma sits on the board of an Oakland-based high school innovation nonprofit XQ Institute, which co-hosted Saturday's event. 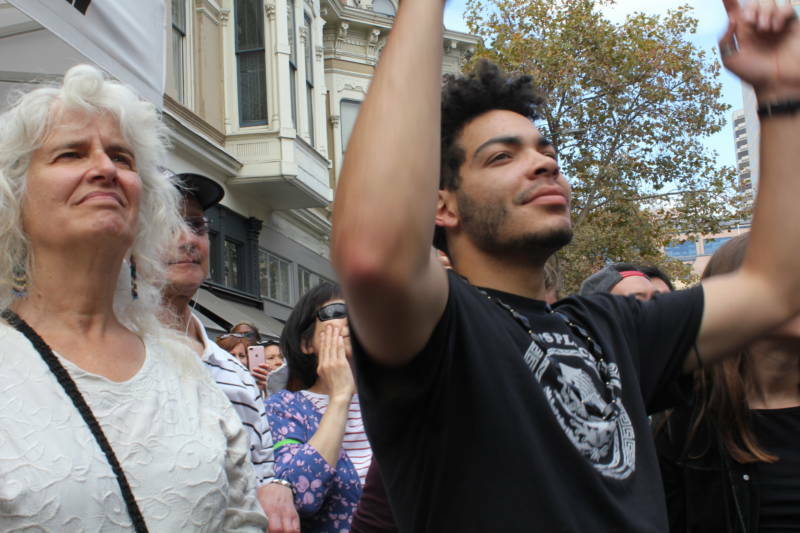 "He's going into community, working with community groups to help them become change agents, to see the change they want for themselves manifest," XQ institute Co-Founder and CEO Russlynn Ali said. "We have partnered with him here in Oakland to focus on the notion of transforming America's high schools. Our high schools have not been transformed in over one hundred years, the data are quite frankly, abysmal." The collaboration featured music, visual artists, free food from local restaurants and a master class for young cellists taught by the legendary musician.